Ayurvedic medicine isn’t just something you hear about during your yoga class -it’s a tried and true holistic practice. While your family doctor won’t bring it up, Ayurveda is well-respected and widely practiced. 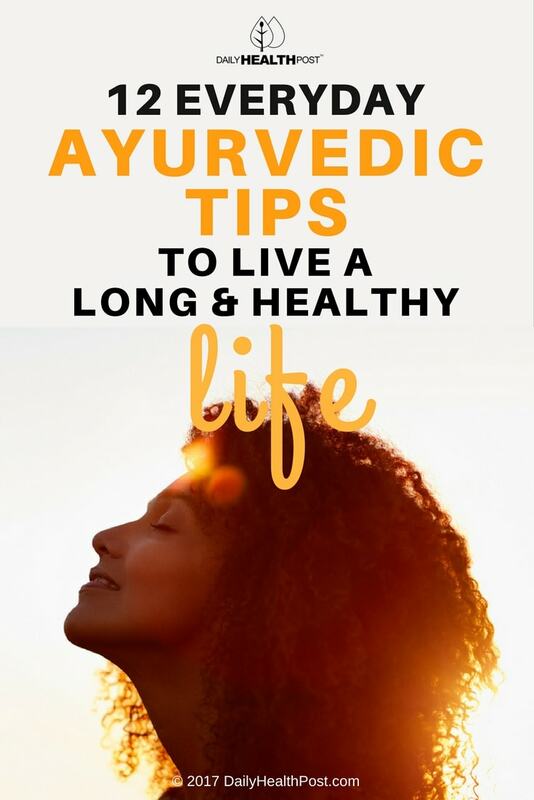 Like many natural healing methods, Ayurvedic medicine has multiple applications when it comes to promoting health and longevity. Find out how to incorporate it into your self-care by reading on below. Ayurvedic medicine is a 3000-year-old tradition that hails from India. It’s actually one of the oldest holistic medicines around and it’s still practiced today throughout the world. While Ayurvedic medicine is the first course of action in its native India, it’s considered a form of complementary and alternative medicine in the United States (1). This is partly because unlike western medicine, Ayurveda is meant to promote health and prevent illness, not fight disease. It always doesn’t just focus on your body: Ayurveda believes that wellness comes from the balance between the mind, body, and spirit. In fact, the concept of interconnectedness and balance is at the heart of this medicine. Shifts in this balance cause disease. This can occur due to genetic or birth defects, injuries, climate and seasonal change, age, and your emotions. In a way, Ayurveda is more of a way of life than an exact science. However, many of the herbs and treatments it suggests have been proved by modern medicine. Ayurveda believes that everyone is made of five elements: space, air, fire, water, and earth. The elements are integral for the three doshas, or mind-body types (2,3). This Dosha rules cell division, breathing, blood flow, heart function, thought and waste management. It’s affected by fear, grief, and late nights. Out of balance: Leads to fear, anxiety, asthma, heart disease, skin problems, and rheumatoid arthritis. The pitta dosha controls your digestion, metabolism, appetite, hormone balance, and body temperature. It’s affected by eating sour or spicy foods and spending too much time in the sun. In balance: Leads to contentment and intelligence. Out of balance: Ulcers, Crohn’s disease, anger, heart disease, high blood pressure, and infections. This dosha controls growth, muscle function, hydration, strength, stability, weight, and immune response. This affected by sleeping during the day, eating sweets, or consuming too much salt. In balance: Expressed as love and forgiveness. Out of balance: Can lead to insecurity and envy, breathing disorders, cancer, diabetes, nausea after eating, and obesity. Modern medicine isn’t keen on supporting ayurvedic treatment, but sometimes it simply doesn’t have a choice. Other key ayurvedic treatments, like Boswellia and turmeric, have succeeded in treating inflammation in multiple studies. Researchers have found turmeric to be effective in treating arthritis and digestive disorders while Boswellia is effective for osteoarthritis. These ayurvedic tips are easy to integrate into your habits, and their positive impact is well worth the effort. Cleaning your tongue is an often overlooked part of oral hygiene. The tongue has multiple grooves that harbor food residue and bacteria long after you’ve had your last meal. This can contribute towards bad breath as well as periodontal disease (6). It isn’t surprising that you don’t know how to clean your tongue, but it’s easy to do. All you need is a tongue scraper from your local drugstore or a toothbrush with a built-in tongue cleaner. Every time you brush and floss, follow up with a tongue scraper and a tiny dab of toothpaste. Gently scrape back to front and follow up by rinsing with water (7). Craving salt foods during the colder months is normal. In fact, in the fall and winter, ayurvedic medicine suggests that you up your intake of salty, sweet and sour foods to warm your body from the inside out. You should also eat warm foods and spice your meals generously. Massage isn’t a luxury: it’s an integral part of self-care and continued health. Massage therapy is sometimes necessary to promote muscle recovery, undo muscle knots, lubricate joints, reduce inflammation, reduce stress, move along lymph, and drain sinuses. An oil massage is a great way to moisturize your skin and facilitate muscle manipulation to get the most out of every motion. Make sure bathroom is warm and place an old towel on the floor to prevent oil stains. Heat some water to near boil and pour water into a medium-sized bowl. Use this water as a bain marie to heat up your massage oil. You can do this by placing the oil into a small bowl and placing this bowl into the bowl of water. The oil should not come into contact with the water. Remove the small bowl once the oil is warm. Begin to undress and stand on the towel. Apply the oil to your body, starting from your head and moving all the way down to your feet. Spend time on each body part, including your ears, nails, elbows and knees. Use long strokes for the limbs and circular motion for the chest, abdomen, and joints. When you’re done, let the oil penetrate the skin for 10-15 minutes. Follow up with a warm shower, being careful to not slip as your feet will be oily. Use soap where needed and shampoo your hair. Plus, strong emotions activate your sympathetic nervous system, which slows down the digestive process. This can lead to bloated and indigestion after your meal (8). As you sleep, your body still performs its regular tasks, albeit less actively. Your body reuses water, nutrients, and energy as much as possible since you can take in any more while you’re asleep. So, it’s only natural that your body craves these three things when you wake up. Water, which makes up to 45-65% percent of your body, is the first thing your body craves when you wake up. This is because the liquid is necessary to transport nutrients and waste, ensure proper organ function, regulate body temperature, promote healthy digestion, and allow your muscles to contract and relax (9). Drinking cold water isn’t great because it requires extra energy for your body to heat up to the ideal temperature of 98.6°F (37°C) (10). 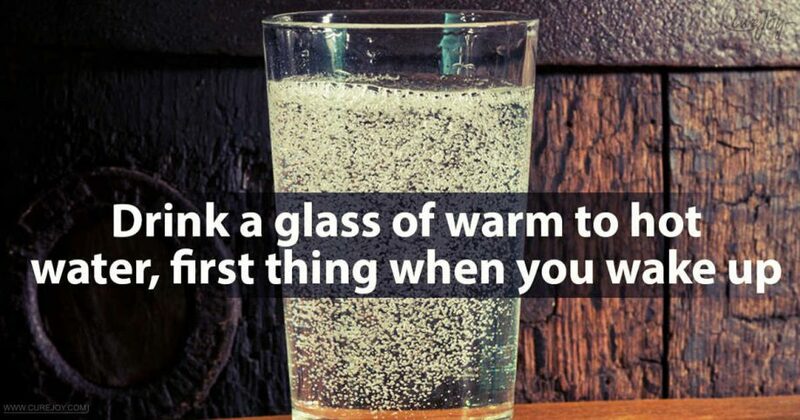 Instead, drink a tall glass or two of room-temperature lemon water as soon as you wake up. Spending time outdoors balances all three doshas to calm your mind and awaken your sense. If you can, try to go outside during daylight hours, especially at sunrise, to stimulate sadhaka pitta (a subdosha). This subdosha is equivalent to mood-lifting serotonin and promotes creativity and joy (11). Being exposed to sunlight will also allow your body to produce vitamin D, which is essential for cell growth, neuromuscular and immune function, bone density, and reduction of inflammation (12). Vitamin D is also essential for melatonin production, which regulates sleep cycles to help you get a proper night’s rest. Digestion takes quite a long time. In fact, it can take six to eight hours for food to pass through your stomach and small intestine. The food then goes through your large intestine for further processing. In total, it can take an average of 33 hours for men and 47 hours for women to fully digest food (13). When your stomach is concerned, half of your last meal is digested and enters your small intestine within 2.5 to 3 hours. It takes another hour to two and a half hours to empty out the rest (14). If you eat too often, your stomach gets overloaded and well-digested foods get mixed in with food that just entered your system. This means that the enzymes and acids that break down food and help your body absorb nutrients can’t work properly. Hence, you aren’t getting the most out of your food. If you snack regularly and too quickly after eating a meal, this cycle repeats itself multiple times a day. Eating late at night isn’t a good idea either. Staying active is the key to a long, happy, and healthy life. As you know, the benefits of exercise include better blood and lymph flow. But exercising is important for mental health too! Low-impact physical exercises like walking, dancing or swimming can improve your mood and reduce stress in the short term. Long-term, regular exercise can keep depression at bay. Spending time with family in friends will improve your mood and your overall outlook on life. Plus, social interaction is important for mental health, physical health, and longevity. Having a family of your own also fosters a greater sense of responsibility to stay healthy (16). If you aren’t sure how to be more social, start by spending more time with the people around you. Make plans to meet up for coffee or invite over friends for dinner. Up until recently, civilization always followed the sun: the day started when the sun rose and ended as the sun fell. While the modern lifestyle extends way past daylight hours, waking up early is a great way to start your day on the right foot. During sunrise, the world is still. It’s a calm and peaceful time. Take advantage of this time to listen to the voice within and meditate on your goals for the day. Set the intention for the day ahead and carry this energy with you well into the evening. This positive mindset will have a snowball effect on your thoughts and feelings throughout the day. Just give it a try! As soon as you wake up, your body shifts from recovery mode to regular activity. From the moment you first open your eyes, your metabolism kicks into high gear to give your systems all the energy they need to function. Naturally, the energy has to come from somewhere. Since breakfast is the first meal you put into your body at the start of each day, it’s important to eat energy-rich whole foods that won’t upset your stomach. According to Ayurveda, start your morning with a healthy breakfast of raw, fresh fruits and wait at least 30 minutes before eating your full breakfast. To avoid spacing your meals too close together, make your breakfast a well-balanced fruit smoothie with fat and protein-rich nut butter. Emotional and mental stress is the ultimate threats to keeping your body in harmony. Meditation is the foundation of keeping your mind clear and your thoughts positive. Lie on your back comfortably, place one palm on your belly, and another one on your chest. Start inhaling into your belly, letting it slightly rise, then keep inhaling, and fill up your lungs by inhaling all the way up into your chest. Mentally keep track of your breathing — your belly, ribs, and chest. As you exhale, let the air move in the opposite direction: chest, ribs, and, lastly, belly sinking in. Breathe this way for 5-10 minutes. Practice this exercise before bed or in times of emotional stress to calm yourself down. Ayurvedic Medicine is all about balance, so it’s important to work towards bringing harmony to your body, mind, and soul at every moment. This means that it isn’t enough to recuperate from a hard day at work. You need to apply these tips to your working life too. Start by bringing a healthy lunch to work, stay hydrated, and practice mindful breathing when you begin to feel stressed. Ayurveda isn’t just a medicine, it’s a lifestyle. Apply it, live it, and enjoy every moment!